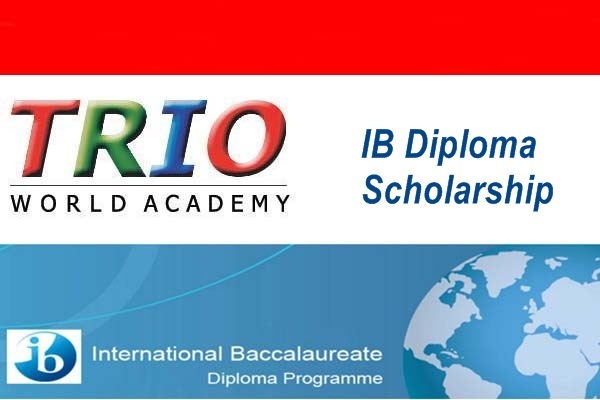 Trio World Academy provides IB (International Baccalaureate) Diploma Programme Scholarship for students from a diverse set of social, cultural and economic backgrounds to bolster the ambitions of deserving students, enabling them to achieve higher success. The scholarship fuels a high quality education of unparalleled global standards can have a life changing impact in launching the careers of talented students with high academic credentials. Trio World Academy is proud to be associated with some prominent institutions in Banglore to offer IB Primary years programe, Cambridge Secondary 1,IGCSE and IB Diploma program (IB DP). IB DP Provides students with a strong impetus for higher education. It is a rigorous program designed to enhance a student's mastery of traditional subjects, including languages. Student whose age does not exceed 17 years as of August of the current year. Exceptionally strong academic performance in last 2 consecutive years. Performance in a written test followed by an interview. The test will be based on English, Mathematics and other subjects that the student is planning to pursue. Final mark sheet or Predicted grades of 10th, IGCSE /Equivalent class from the host school 5. 1.The student must have no record of inappropriate behavior in previously attended schools. 2. An appointment schedule will be given to selected students after the verification of all documents. Please Note: TRIO reserves the right to not grant the scholarship every year, depending on the current students' ability to meet the criteria listed above.